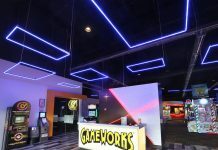 Keystone Technologies, a leading manufacturer of quality driven lighting solutions for over 70 years, has expanded their line of innovative and highly successful Sign Hero 360-degree LED sign tubes with the addition of a 117-inch tube. 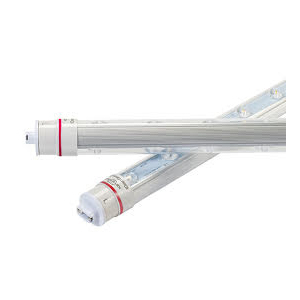 Sign Hero tubes were designed to dramatically reduce energy costs, while also meeting the unique needs of the sign market. Perfect for both retrofits and new installations, Sign Hero tubes can be used for either single or double-sided signs and can be installed in less than five minutes. Keystone’s DirectDrive technology eliminates the need for an external driver or ballast while still using the existing sockets, saving considerable time for field technicians. 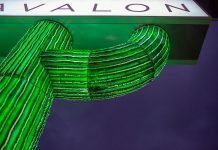 Keystone’s Sign Hero features optical lenses that cover each individual LED chip in the tube, eliminating hot spots and ensuring consistent light distribution across both faces of the sign. The rotatable R17D end cap swivels so that the tube can be adjusted to provide a light beam in any direction. With the addition of the 117-inch Sign Hero tube, there are 14 Sign Hero tube lengths available, ranging from 18-inch tubes to 120-inch. 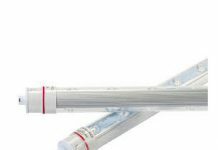 The 360-degree LED sign tube is now available in all the lamp lengths typically used to replace T8HO & T12HO fluorescent lamps.